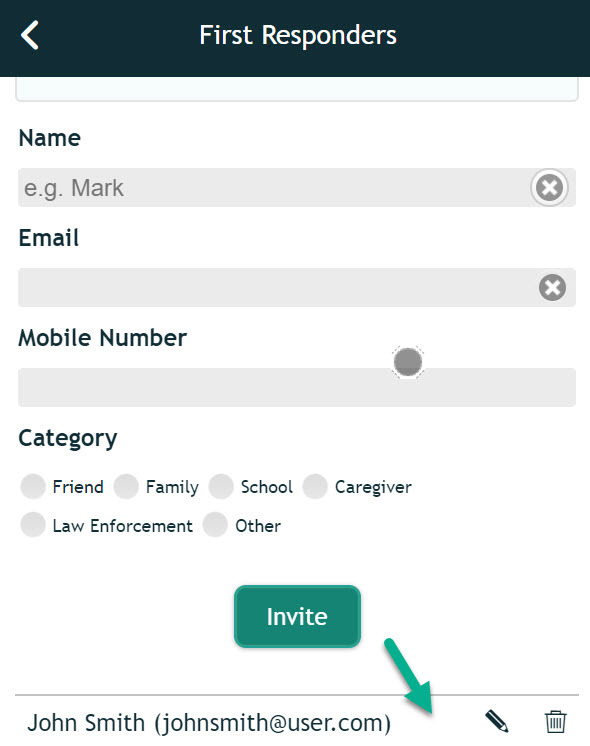 You can edit or delete a First Responder directly from within the AngelSense app. 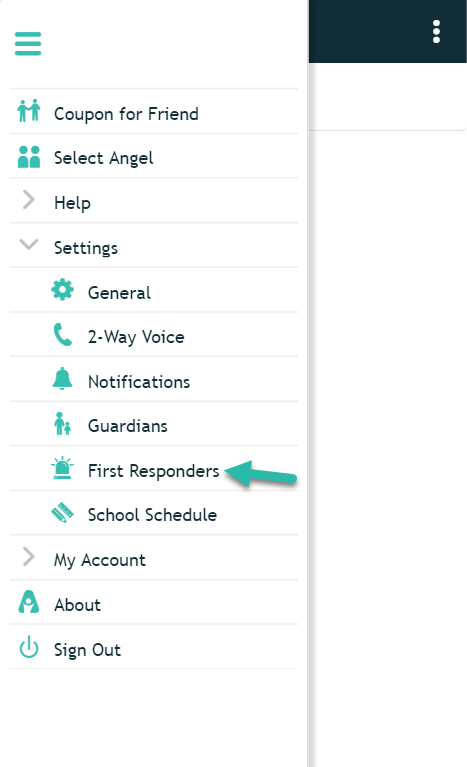 A First Responder is assigned as a member of a predefined trusted group that are notified via the AngelSense app regarding a lost child, along with a live view of the child’s location & directions to that child. Go to the Menu on the left hand side and click Settings and "First Responders"
Go to the First Responder at the bottom and click on the pencil icon to edit or the trashcan to delete.